Vladimir Kagan (1927-2016) was a prolific American furniture designer. 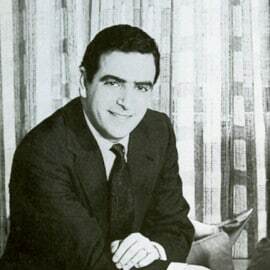 He was inducted into the Interior Designer Hall of Fame in 2009, 62 years after he started designing and producing furniture. 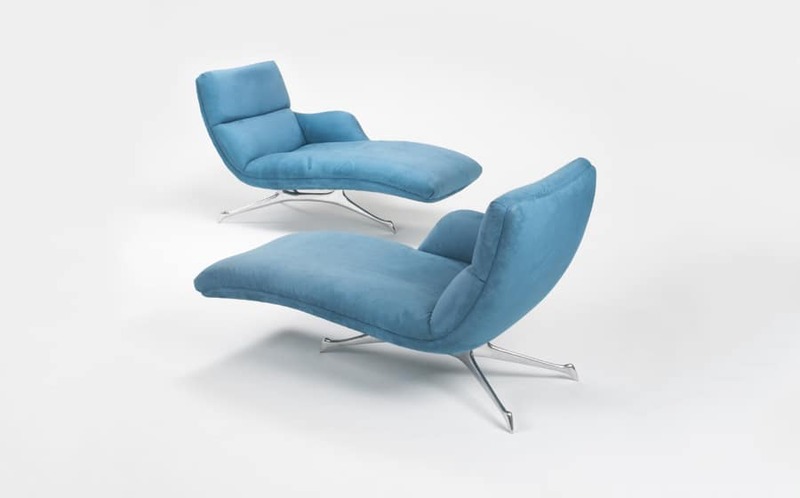 Kagan introduced a multitude of designs that are now considered icons of mid-century modern design. His style, inspired by everything from antiques and nature to the Bauhaus, emphasizes comfort, functionality, and modernity. 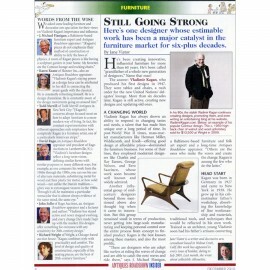 Contact us to sell your Kagan furniture. Vladimir Kagan was born in Worms am Rhein, Germany, in 1927. His father was a cabinetmaker from Russia and his maternal grandfather owned a fashionable folk art and furnishings shop in Munich. The family fled the Nazis and went to live with cousins in New Jersey by 1938. In America, Kagan’s father had his own cabinet shop where Kagan apprenticed. One early client was the flamboyant decorator-furniture designer, James Mont. 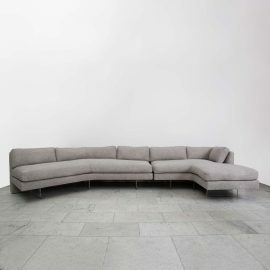 After studying abroad and taking architecture courses at Columbia University, Kagan joined the family furniture-making business. He approached each piece as an individual expression of an idea, composed and recomposed from elements that had worked before. 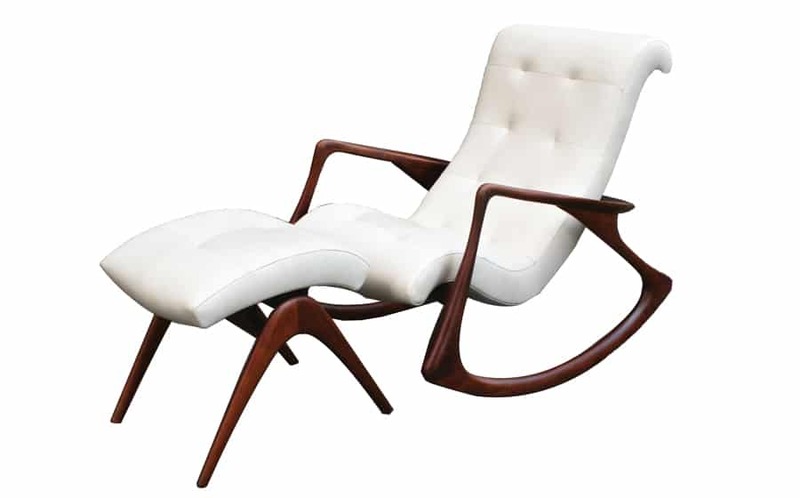 Kagan’s first notable chair was part of the Sculpture Form collection and was later renamed the Barrel Chair in 1947. From the start, Kagan wanted to open a cosmopolitan shop that would sell not only furniture but also ceramics and art pieces. In 1948, he opened a shop on East 65th Street where artists were invited to exhibit their wares, among them the artist Louise Nevelson. Hugo Dreyfuss, a retired Swiss lace manufacturer, soon entered the picture. 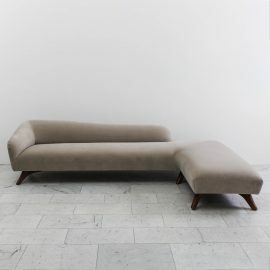 He offered to underwrite Kagan Designs with $20,000 and Kagan-Dreyfuss was formed in 1950, selling furnishings, art, and accessories, both retail and wholesale. The partnership lasted ten years and is considered by many collectors to be a golden age of Kagan’s productivity. 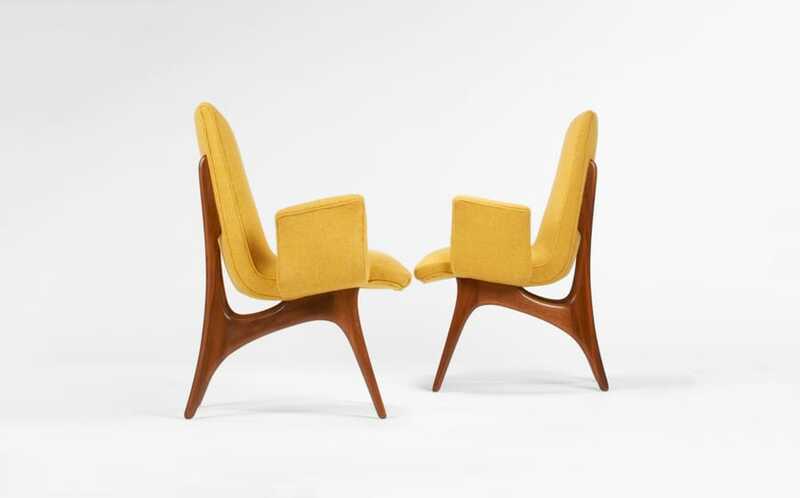 Kagan always wanted to make conversation pieces as much as furniture. He began playing with the animated organic shapes that would become his signature. 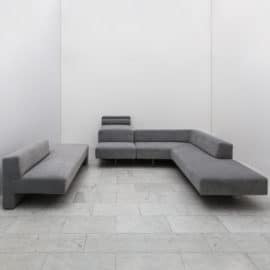 By the late sixties Kagan felt he reached an apex in sculptural forms and so the Omnibus, a modular concept that could be adapted to almost any use, was born. The Kagan’s business operated well into the Eighties with eight national showrooms and some 30 employees in the factory. In 1987, he decided to close the factory and get out of the business when he found competitors were duplicating his designs. 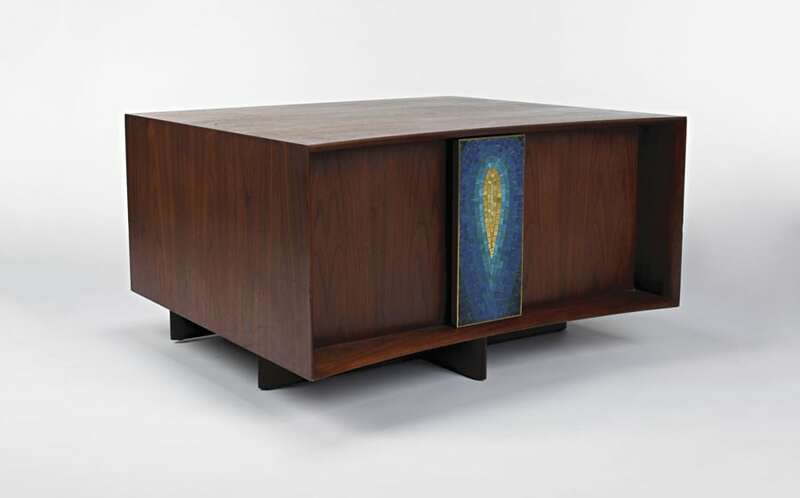 In the late 90s with the revival of interest in mid-century modern, Kagan’s furniture returned to the limelight. And in 2002, the Brooklyn Museum of Art presented Kagan with a Modernism Lifetime Achievement Award.